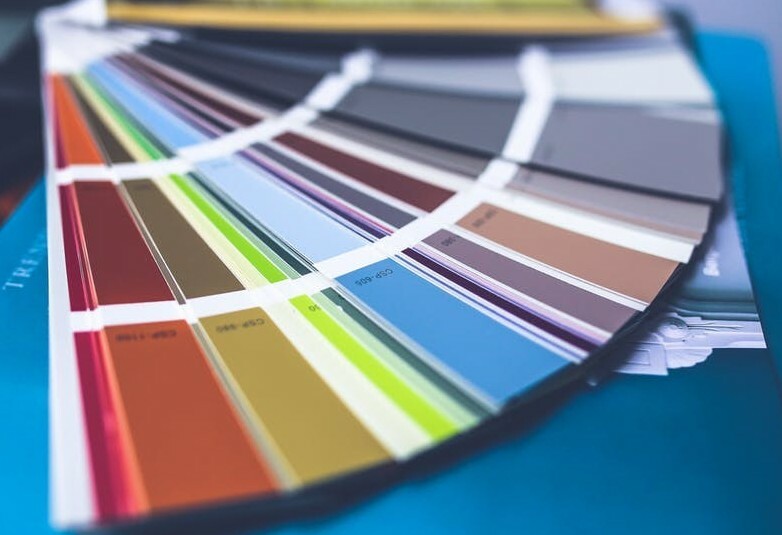 How to choose a color palette for your scrapbooking layouts can be a challenge at times, but when in doubt, let your photographs do the deciding for you. That is exactly what I do. Whenever I am trying to decide what the best colors are to use for my scrapbooking layouts, I always use my photographs as a reference. 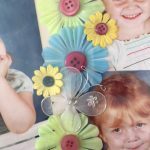 If you want to make sure that you have a good color theme for your scrapbooking layout, you must never go shopping for cardstock without your photo’s in hand. Start by spreading the photographs that you want to use out in front of you. Most of the time your photographs will be of a particular event or occasion, so hopefully, the colors in the photographs will be continuous. Pick out a color in your photographs that you want to bring out, whether it be a color in somebody’s t-shirt or the color of the flowers in the background. When you choose your patterned paper and card stock, hold the photographs with the colors of your choice against the paper to see if they are well matched. Most people normally stick to one or two different colors in different shades, but there is no reason why you can’t have more. What Are The Best Colours To Choose If My Photo’s Are Random? If you have a bunch of random photographs that are not of a specific occasion, then it can be a little more challenging to pick out your card stock. This ColorBok 12-inch smooth cardstock paper pad is perfect for all your paper crafting projects. It contains 30 sheets with 6 sheets of 5 different Neutral colors. Click on the picture if you want to get one for your kit. In this instance, I normally go for a neutral color like black, white, grey or even cream. I find there are normally neutral colors that you can match up easily to most photographs, and of course, neutral colors go with anything. Beware of making your colors too bright, or you could drown out your photographs. 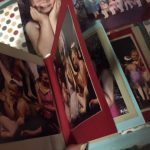 On any scrapbooking layout, the aim should be to highlight your photographs and memories, and not drown them out with too many embellishments and background colors and patterns. Finally, remember that your scrapbooking layouts should always show a bit of your personality, so there are no hard or fast rules here. What you like is not necessarily what the next person will like. So while I can give guidelines, never forget to express your own individuality on your scrapbooking layouts. If you have any further tips to add for how to choose a color palette for your next artwork, please comment below. Hello Michel – While I would not normally be drawn to a site with knitting as it’s foundation I must admit your use of color drew me in. So my comments are more about your site. I love the color choices. The clarity and design of your pages make both viewing and navigating easy and fast. While there is indeed a lot of stuff and info on your landing page I never felt overwhelmed. I know this does not “just happen” but is the result of a great deal of work and planning and I, for one, am impressed. Thank you for your kind words Mike. This is really a great article about “How To Choose A Color Palette For Your Scrapbooking Layouts”. I did not know much about it. After reading your article, I understood color theme, layout and pattern. I am going to share it with my best friend who is very serious about drawing and art for making new creative concept. Thanks for your important post. Thanks Humayra and hope this helps with ideas. To go with neutral colors like black, white, grey or even cream at times when pictures share no common theme is really sound advice. For most of my scrapbooks, I’ve found this to be the case. At other times, I believe a very relevant theme can only add to the pictures collected in the scrapbook. For example, at my wedding, we had a color theme of ocean blue and white. Thus, a scrapbook representing these colors was such a great addition to all the pictures of that event. What I like most is it in a way helps to set the theme even more, especially when we showcase it to people that weren’t at our wedding. The pictures blend perfectly with the scrapbook itself, thus making it a more comprehensive experience. Perfect sense Matiss. Scrapbooking is a great way to showcase a wedding day. I’m actually trying to figure out what scrapbooking is,. I don’t think am familiar with that word. Can you help me put it right so I can actually understand. From your article, it has to do with photos right? But am yet to understand properly. Secondly, does it have anything to do with one’s personality? Scrapbooking is a way of making memories out of your photographs or other memorabilia in an artistic way. 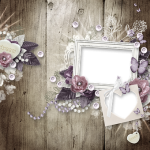 If you want to read more about scrapbooking, or how to get started, you can click here. What an interesting website ! I first saw your title ‘Knitting for Profit’ and thought whoooo! I love knitting but I am not fast enough to do it for profit and to be honest I have so many different creative things I love to do that my mind wanders over to them and I always have something on the go… knitting/crochet/doing my website/making natural soap/carving soap! When I got over to your website and looked the feature page you have used as the landing page, its all about scrapbooking and matching colors to enhance the overall effect! Awesome! It’s in great detail and fascinating. It’s not something that I’ve done but certainly would enjoy. I then looked around to see what else you have on your site. Its full of very relevant knitting niche material, patterns, machines, the history of knitting, knitting making money as well as other creative initiatives. I had to drag myself away to leave this comment otherwise I would have wandered around in there for a few hours! I wish I could stick to one creative niche, I used to make cakes but then moved to Spain and couldn’t do it here, so that’s when I discovered Wealthy Affiliate. I started my twins and triplets website and do that most of the time, but I found soap making and love it! I have a natural soap website, so no plastic, chemicals for color or scent, I found my niche there, but need a lot more time to get it properly running. I want to throw pots to make soap dishes! And with my gash soap, I have started carving! 😀 I will go back and wander around your site! Thank you for your visit, Helen. You sound like me – love to make things, but don’t have as much time as I would like to spend doing it all. All the best with your soap website. That is one other hobby I would love to explore should time allow. When laying out a scrapbook I really think it’s best to use a neutral background. Most especially if the picture you’re using has different colors. I also think colors you pick should be cool so as not to be brighter than the pictures you’re using on the scrapbook. I like using peach, pastel or cream. That’s my personal pick. And luckily Louis, art is a very individual thing, so everyone will enjoy seeing and choosing something different. Lots of people love neutrals. I do too, but every now and then I love a splash of bright color. Thank you for the tips and guidelines you provided. I’ll make sure to put them to use whenever I want to choose a color palette for my scrapbooking layouts. it can be a little more challenging to pick out card stock but now I have a good way by reading through your blog post. I really appreciate the piece of information provided, it was really helpful. Thanks for the comment Salim and glad you found the information helpful.